Eddie Graber's dream of a sanctuary for rescued farm animals was about to come true when his partner backed out at the last minute. Now Eddie risks losing the 25-acre property in Lancaster County - and all the hopes he held for it - before the project even gets off the ground. He needs help, he needs money, but most importantly, he needs to rediscover the belief in a higher purpose that brought him here in the first place. Samuel isn't the only lost soul to serendipitously find his way to Meadow Lake Farm. There's Fred and Ginger, two cows who'd been living in a garage, a gang of sheep, and a little black pig named Benny who might be the key to life, love, money - and even a happily ever after for two castoffs. 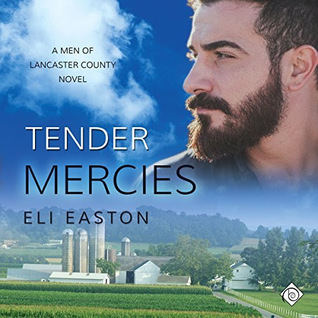 'Tender Mercies' is the second book in Eli Easton's series 'Men of Lancaster County' and while the MCs from the first book do make an appearance in this story. 'Tender Mercies' definitely stands on its own and can be read without benefit of the first story but really, why would you want to miss out on reading two lovely and charming stories by Eli Easton...I mean where's the sense in that? While I liked the first book I do have to admit I enjoyed this one a bit more. Eddie Graber moves to Lancaster County with the dream of starting a rescue center for farm animals...yes, sadly even farm animals can be mistreated and abused. What Eddie doesn't count on is the fact that one of his first rescues isn't going to be a four legged animal but a sweet, hard working Amish farm boy named Samuel Miller. When Samuel's father discovers he's gay he whips Samuel and then hands him a fistful of money before throwing him out and telling him that he has been shunned. Samuel finds his way to a local shelter where an add for farm help leads him to Eddie's rescue center. it's takes Samuel a bit of doing to convince Eddie that Samuel's the help he needs, but convince him, he does. Sam and Eddie have more than a few things that they need to work through...there's a bit of an age difference and these two men come from very different worlds not to mention that Eddie's a vegan, Sam's not he likes his hamburgers and chicken...I know this seems like a little thing but truly it's not. Add into all this the fact that Eddie really has no idea how to run a farm and while Sam wants to help, he's also afraid of losing his job at the rescue farm. As the days pass Eddie and Samuel grow closer and feelings become stronger. Eddie's Rescue Farm was a chance for Eddie to make his dream come true but it as also a chance for him to start over, in spite of his less than auspicious start when his partner...the man he thought was his forever backed out of moving to Lancaster County with him. While Eddie's determination to get his rescue farm up and running falters it never fully dies and it's Sam who offers him the faith and support he needs to keep trying. While I liked both characters I definitely had a soft spot for Samuel. His quiet strength and determination as he struggled to reshape his world and find his place in it were as much a part of this story as Eddie's journey and Sam and Eddie's romance. The other star of this story are the animals from cows to pot-bellied pigs, ok I admit pot-bellied pigs are not my idea of a pet but that doesn't mean seeing them or any other creature abused or housed in what is sadly less than humane conditions doesn't break my heart and make me more than a little sad and angry and leave me appreciative of all the people who work tirelessly to rescue animals that have been abused and mistreated and show them that there are still good and loving people in this world who will shelter them and keep them safe. Once again Will Tulin was the narrator for this audio book and while things didn't work so well the first time around I was very pleasantly surprised with this one. Not only did I enjoy the narration for the story in general but Sam's voice for me was spot on and worked really well making me very happy that I decided to give this narrator another listen. 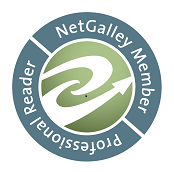 An audio book of 'Tender Mercies' was graciously provided by the publisher in exchange for an honest review.